Make your holiday dinner extra special with 25 of the Best Holiday Turkey Recipes! These birds are loaded with flavor & sure to be the star of your meal! Thanksgiving is just around the corner and I can’t wait for our holiday meal and all the delicious leftover turkey recipes to come afterward! At our table, the turkey is definitely the star of the show even with all those yummy Thanksgiving side dishes gracing the table. Some years I get tired of making the same turkey recipe and want to change things up a little. 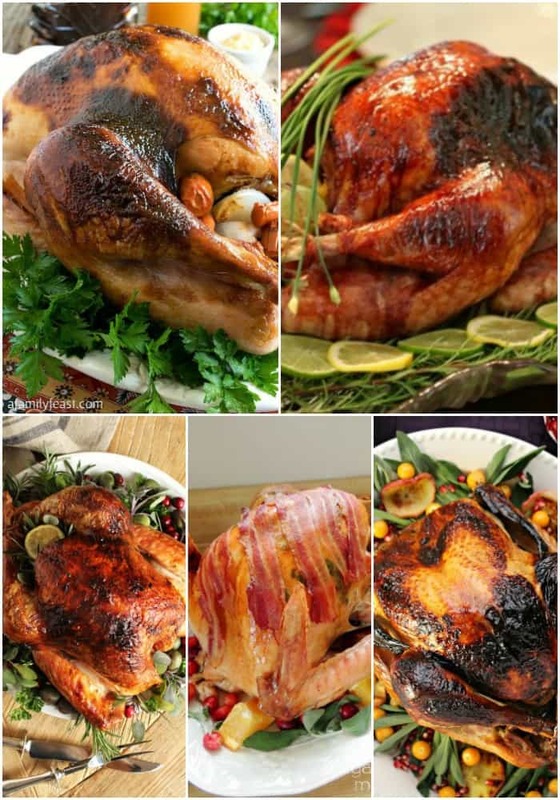 That’s why I’ve rounded up 25 of the Best Holiday Turkey Recipes. These are some of the best turkey recipes around, and they’re not just for Thanksgiving. Whether you like a traditional roast turkey recipes or super easy crock pot turkey recipes, there’s a bird for you! Whether this is your first year hosting a holiday meal or you’re an old pro, these basic turkey recipes will make sure your bird comes out perfect the first time! How to Cook Thanksgiving Turkey – This classic dry rubbed turkey recipe is completely fool-proof, and you can see how to butcher your bird too! Perfect Spatchcock Turkey – Get your bird to cook evenly in less time with this method! Easy Oven Roasted Turkey – Stuffing lovers will adore this turkey recipe. It doesn’t get more traditional than this! 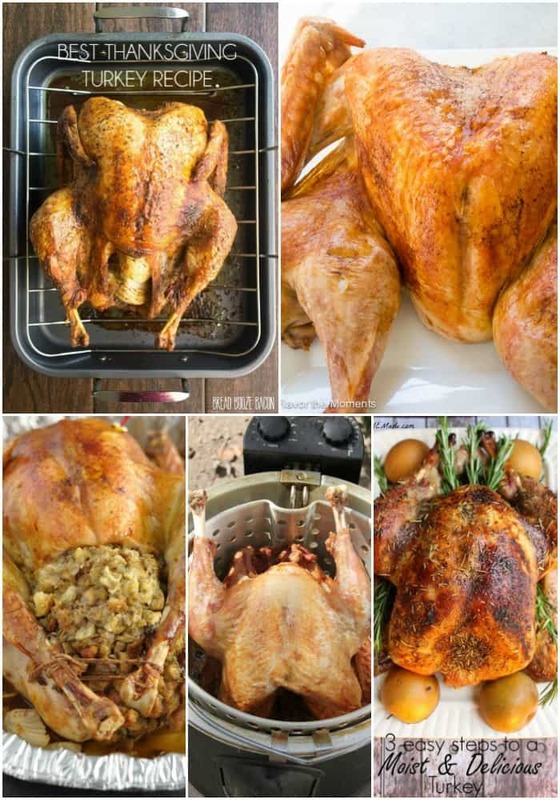 Fried Turkey – I had my first fried turkey years ago and it was AMAZING! It’s a go big or go home recipe that delivers every time! 3-Step Moist & Delicious Turkey – Who says cooking Thanksgiving turkey has to be hard? 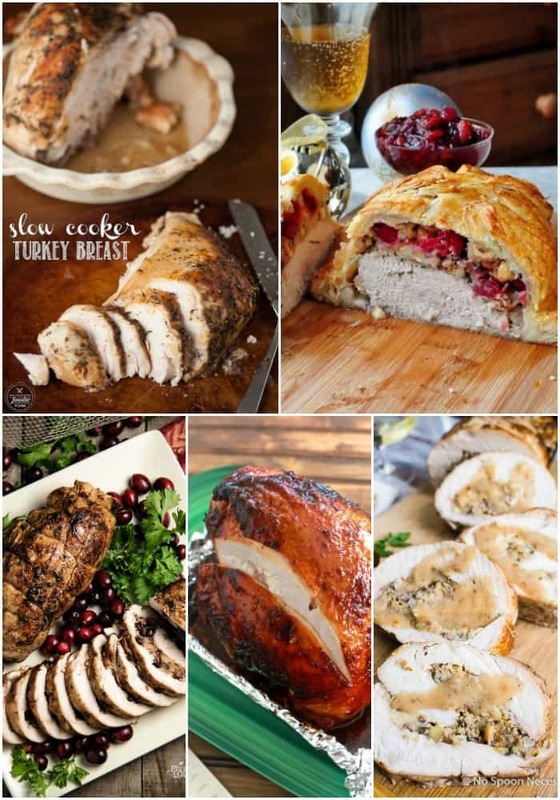 These turkey breast recipes lend themselves perfectly to smaller dinner guest lists or to satisfy those year-round turkey cravings! Applewood Smoked Turkey Breast with Cider Bourbon Gravy – Smoking meat is a thing of beauty and this turkey recipe is on point! 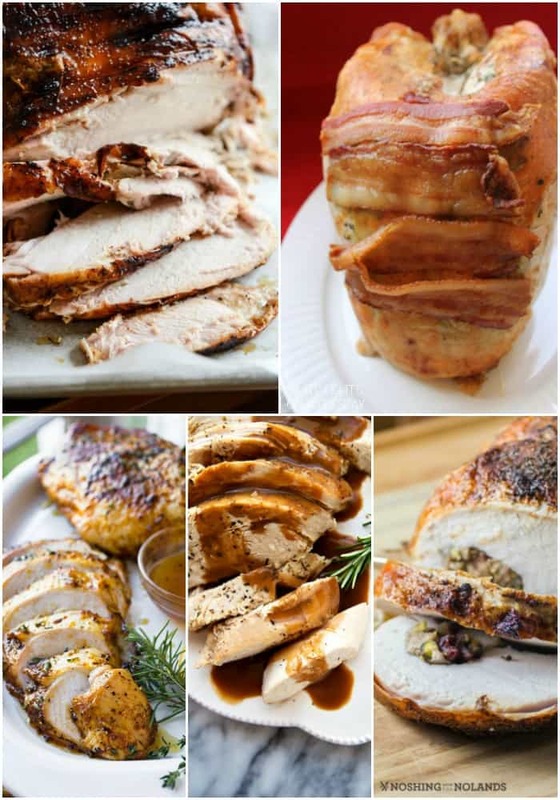 Bacon Roasted Turkey Breast with Sage Butter – I love everything about this recipe! Crispy skin + crispy bacon = heaven! Orange-Honey Glazed Turkey Breast – A bright orange sauce is the perfect pairing for your turkey recipe! Crockpot Turkey Breast – Skip the oven and still have a turkey worth drooling over with this easy recipe! Stuffed Roasted Turkey Breast – Who says you need a whole bird to stuff your turkey? Slow Cooker Turkey Breast – Simple and delicious! This recipe is great for dinner or make your turkey ahead of time for sandwiches and salads! Cranberry Hazelnut Turkey Wellington – Looks super fancy and is surprisingly easy to make. Your dinner guests will be wowed! Cranberry & Apple Stuffed Turkey Breast – A holiday favorite loaded with the flavors of the season! Apple Cider Glazed Turkey Breast – This is one of my all-time favorite turkey recipes! My picky kids love it too! Thanksgiving Turkey Breast Roulade – Have your stuffing and turkey all in one bite! This recipe with pretty AND delicious!! It’s time to go big or go home! 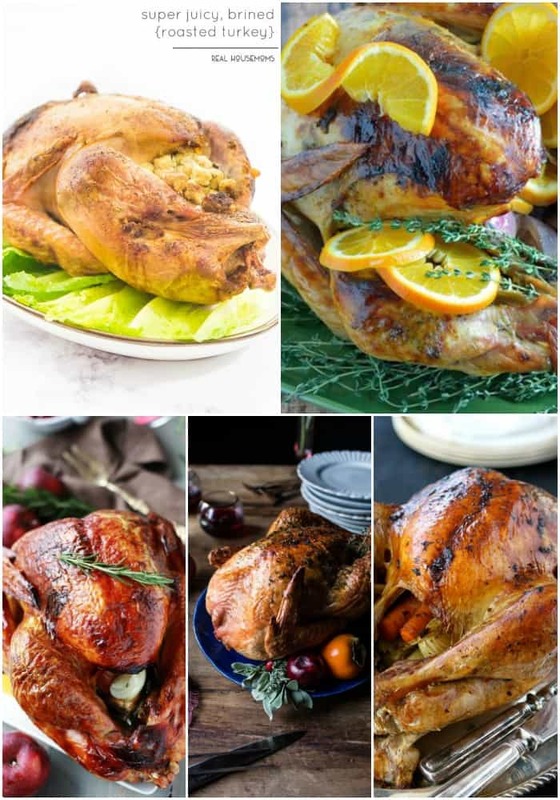 These whole turkey recipes are loaded with flavor and make everyone think you’re a genius in the kitchen! Super Juicy, Brined Roasted Turkey – No one wants a dry bird. This recipe will keep your turkey juicy and so tasty! Orange, Anise, and Thyme Roasted Turkey – Go a little gourmet with the flavors of this turkey recipe! Lemon, Apple, and Herb Turkey – I love the combination of apples and cirtus in this easy Thanksgiving dish! Herb and Butter Roasted Turkey with White Wine Pan Gravy – A holiday classic with a sauce that’s completely to die for! Roasted Turkey with Herb Butter & Roasted Shallots – Golden crispy skin and an amazing smelling house means this recipe is a keeper! Maple Cider Glazed Turkey – A little sweetness on this bird set it apart from your traditional Thanksgiving fare! Sangria Glazed Turkey – Everyone will want to know what the “secret” ingredient is for this turkey recipe! Citrus and Herb Butter Roasted Turkey – Fresh herbs and citrus are always a good idea when cooking poultry! Bacon & Sage Roasted Turkey – What could possibly make turkey better? Bacon. They’re best friends! Sage & Apple Brined Turkey – A brined turkey is one of my favorite ways to keep our turkey juicy and delicious! Oh wow, this is such a delicious and STUNNING round up! I wish I could have ALL 25 of these turkeys on my holiday table!! Thank you so much for including my Thanksgiving Turkey Breast Roulade! Cheers! 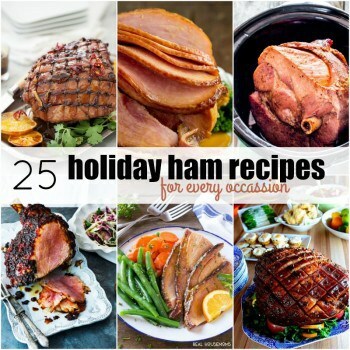 I’m loving this round up — you’ve got all of the turkey bases covered! Thank you for including my spatchcock turkey! My pleasure Marcie! It looks delicious!